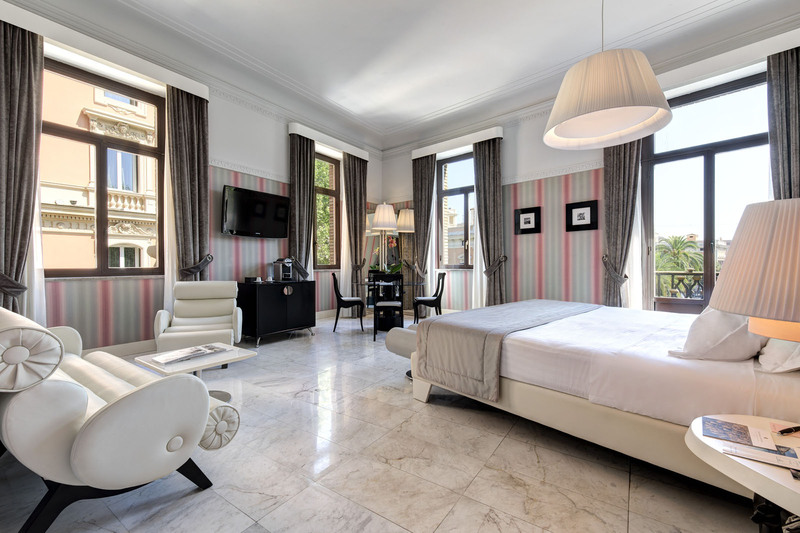 Grand Hotel Palace is a boutique five star hotel, with 87 luxury guest rooms, situated in the centre of historic Rome, on Via Veneto. 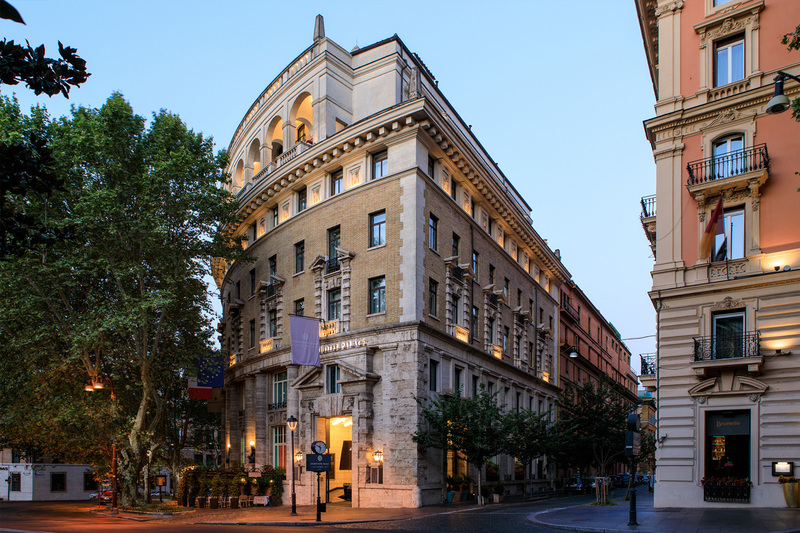 The impressive hotel building was once known as the Ambassadors' Palace and the entrance is through an elegant wrought iron gate, which brings guests into a covered seating area that is reminiscent of the Bohemian street cafés of Rome. The hotel was designed by architect Marcello Piacentini and is adorned with large, stunning frescoes by Venetian artist, Guido Cadorin. 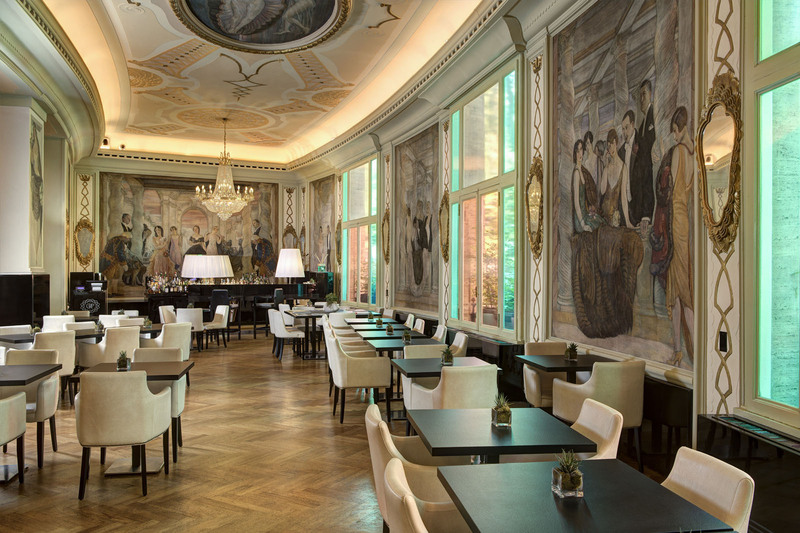 The refined Italian design and the contemporary art deco style, with marble floors, chandeliers made of Murano crystal and colourful mosaics, is influenced by the grand days of Roman architecture. The hotel is the ideal place for business and leisure travellers to stay and has a bar, a fine dining restaurant and a bistro, which offers a relaxed dining experience. Guests can enjoy a drink or a meal al fresco, on one of the hotel terraces. 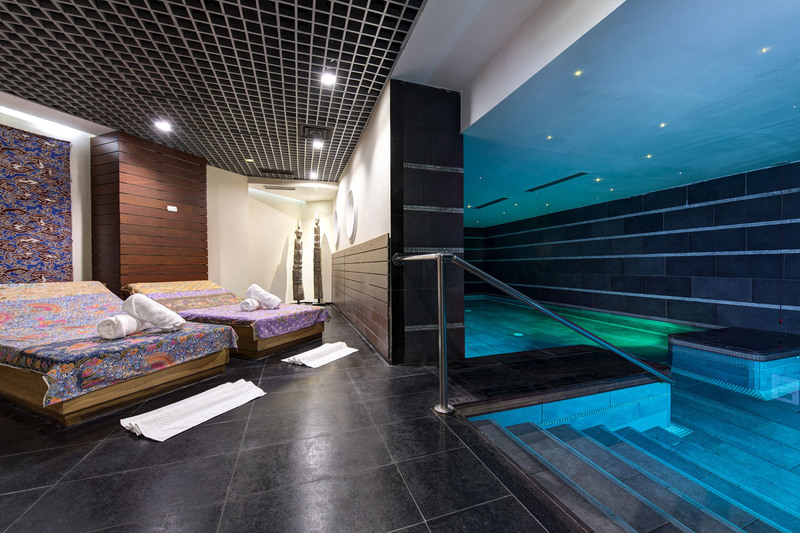 Kami Spa, the hotel's urban retreat, is an oriental oasis where guests can relax in body and mind, through indulging in one of the many different Asian holistic treatments or unwinding in the sauna or the Jacuzzi.